There's no U.S. sale date yet announced for the e-bikes. The Ariv Meld and the Ariv Merge were to be available to preorder Thursday at online bike retailer BikeExchange, although they didn’t seem obviously available when we searched. Deliveries are scheduled for the second quarter of this year. GM has not said when the bikes might go on sale in North America. 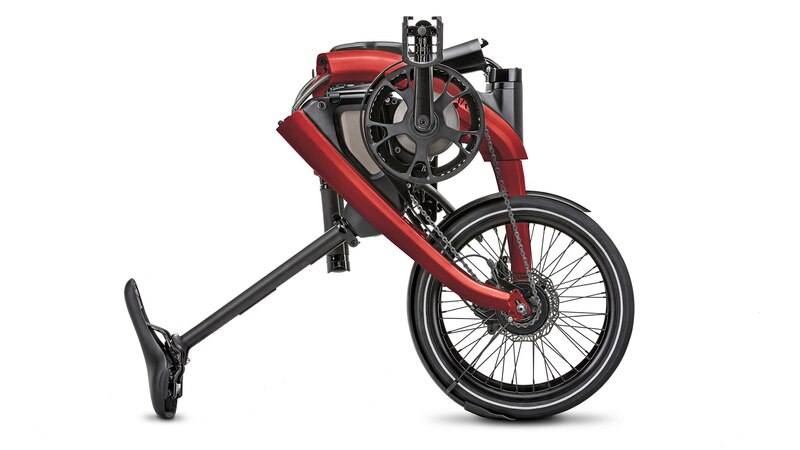 The e-bike’s somewhat groanworthy name comes from a crowdsourcing exercise. 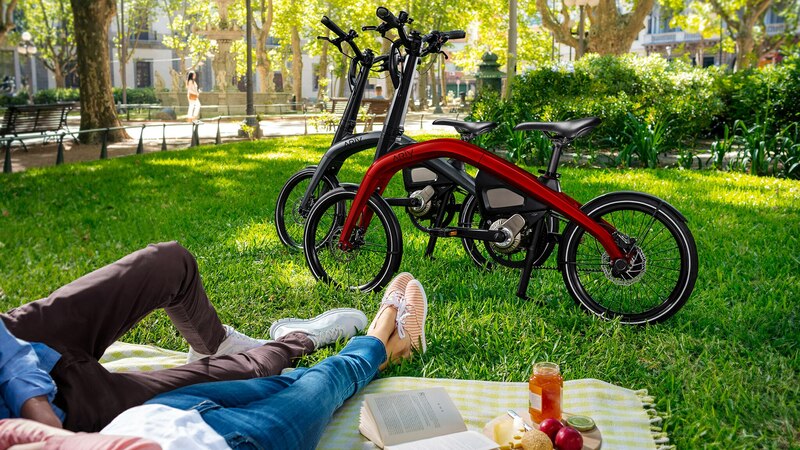 The Ariv Meld is a compact e-bike with a retail price of €2,800 in Belgium and the Netherlands (about $3,164 at Thursday’s exchange rates), while the folding Ariv Merge is €3,400 euros ($3,842). The bikes are €50 cheaper in Germany. While these prices are far from the low end of the e-bike price range, they are competitive with popular, well-established brands. 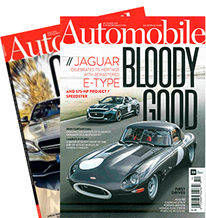 Although GM has not listed specifications for the lithium-ion battery pack or motor in the Ariv Meld and Merge, GM says the motor delivers “top-of-the-segment power and torque for its size.” The bikes have a claimed top-speed of 15.5 mph with four levels of pedal-assisted power. The batteries can be fully charged in roughly 3.5 hours, with a full top-up said to be good for 40 miles of range. 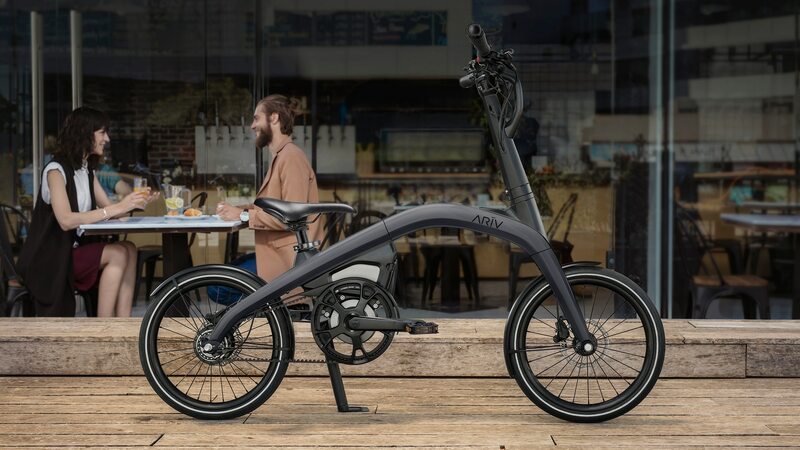 The bikes use a proprietary GM electric motor, which along with the bike itself was designed and engineered in the automaker’s facilities in Michigan and Oshawa, Ontario. 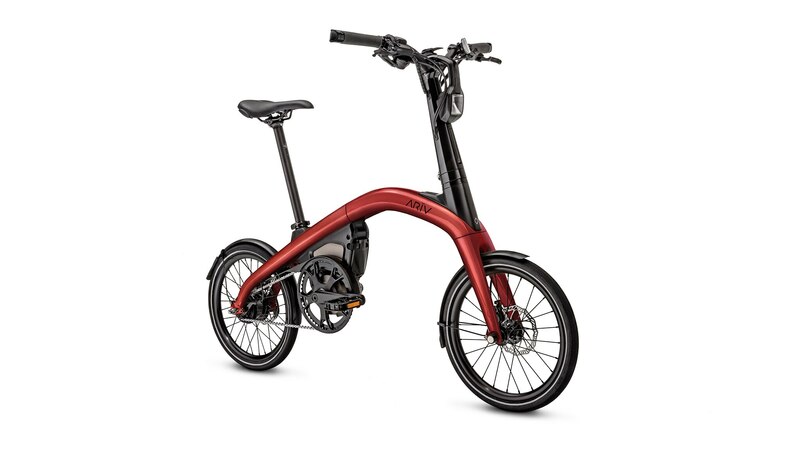 They feature interior cable routing, and a “walk mode” that assists cyclists climbing steep terrain. The Merge can be rolled on two wheels when it is folded. All Arivs come with a quad lock mount to securely attach a smartphone to the bike, and an integrated USB port to charge the phone while riding. An Ariv app monitors speed, distance, remaining battery level, motor assist level, distance traveled, and other metrics via Bluetooth.